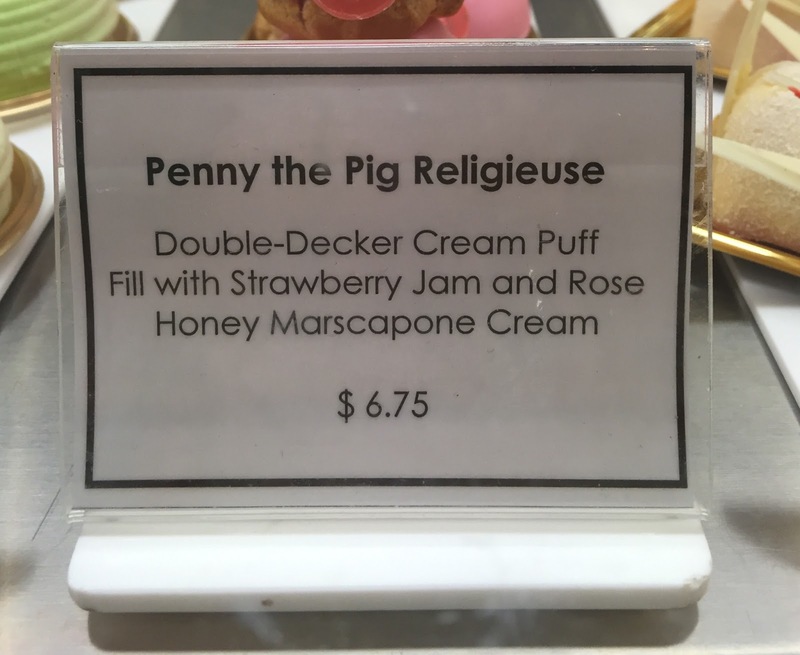 When we went to Dominique Ansel to meet with our friends and try this month's Cronuts, we also got Penny The Pig Religiuese and Cotton-Soft Cheesecake. Religieuse means sister or nun in French. On the back, this pink pig had a curling tail. Both head and body had the same filling, and the strawberry jam was very sweet and sugary besides both cream puffs were coated with pink colored white chocolate and chocolate snout, ears, cloven hooves, and sugar tail. 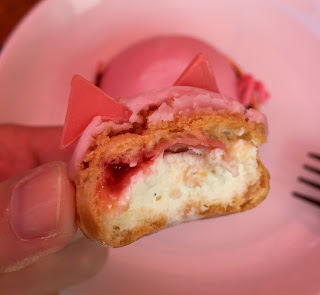 Mascarpone cream was light and soft, but I didn't taste any rose honey flavor but thick and rich strawberry jam. I wish it was fresh strawberries or at least not-so-sweetened puree instead of jam.